Heat oven to 350°F. Prepare spinach and cook macaroni as directed on packages. 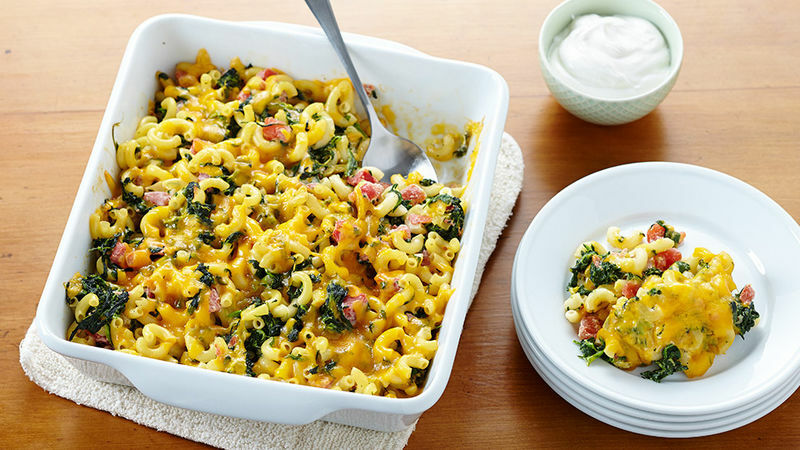 In ungreased 2-quart ovenproof casserole, combine cooked spinach, cooked macaroni, tomatoes with chiles, sour cream and half of the cheese; mix well. Top with remaining cheese. Bake at 350°F. for 20 minutes or until thoroughly heated and cheese is melted.